MANILA, Philippines – 14 May 2018It was another successful year for the 2018 PropertyGuru Philippines Property Awards, presented by Kohler, after the exclusive unveiling of Winners and Highly Commended companies during its gala dinner celebration last Friday (11 May 2018) at the Fairmont Makati ballroom. Meanwhile, The Podium Complex by SM Keppel Land Inc. swept all the eight categories it was nominated for, including Best Retail Development, Best Office Development (Manila) and Best Mixed Use Development. In addition, the recently revamped The Podium complex took home the prizes for Best Green and Best Universal Design Development for making the entire development accessible to visitors regardless of age, size, ability or disability. 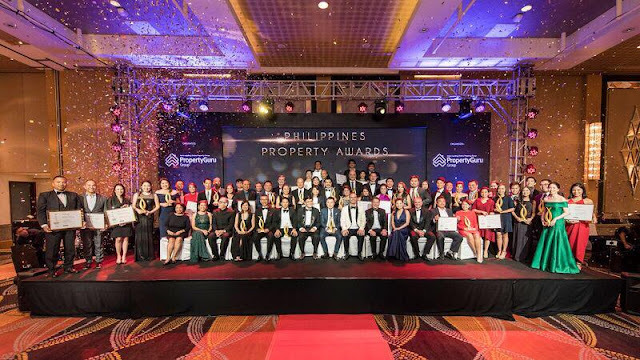 Meanwhile, Robbie Antonio, founder and CEO of Revolution Precrafted – the fastest company to reach first unicorn startup status in Southeast Asia – was honoured as the 2018 Philippines Real Estate Personality of the Year for changing the concept of prefabricated, luxury homebuilding not only in the Philippines, but also in the biggest markets around the world. Antonio aims to "democratise design" by creating design-forward, limited edition precrafted homes, pavilions and other related structures, and making them more accessible to the masses through more competitive costs. He added that business opportunities “must go hand in hand with increased responsibility to the environment, to the community and to your employees” as the Awards continue to celebrate companies with outstanding CSR and sustainable development initiatives. The PropertyGuru Asia Property Awards, the region’s biggest and most prestigious real estate awards series, is recognised as the ultimate hallmark of industry excellence in the Asian property sector, established in 2005. Boasting an independent panel of industry experts and trusted supervisors, the Awards has an unparalleled reputation for being credible, fair and transparent. In 2018, the Awards has been expanded to cover 17 key markets around the region, featuring 12 gala dinners and associated awards ceremonies in 11 countries, with each one hosting up to 600 senior industry figures to recognise excellence within each Asian market, culminating in the PropertyGuru Asia Property Awards Grand Final, which takes place alongside the two-day PropertyGuru Asia Real Estate Summit in Bangkok on 8-9 November 2018.